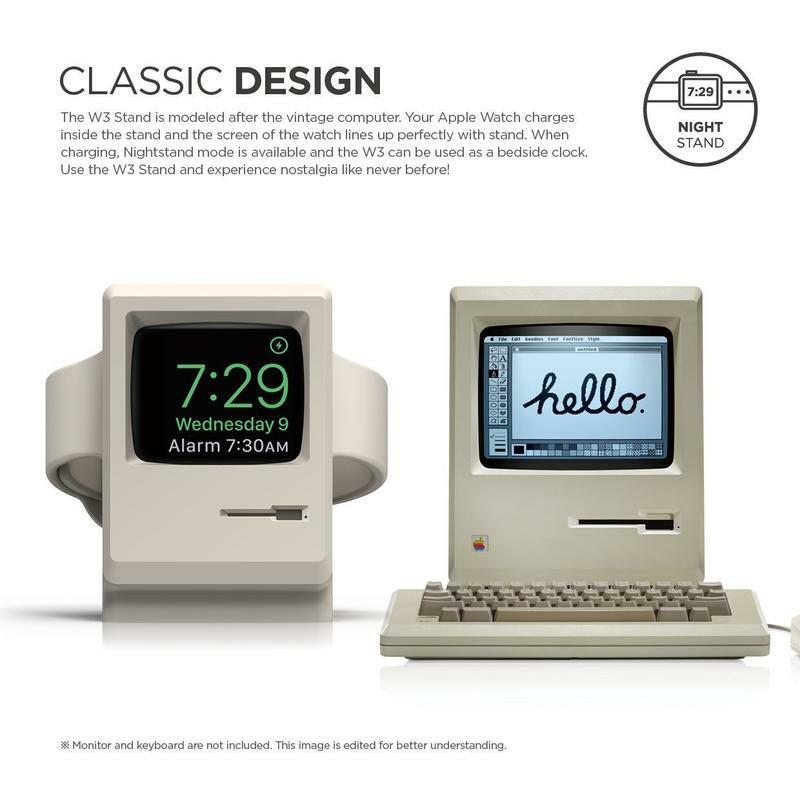 The Apple Watch is the perfect mix between a timepiece and a connected device. It does the basics, but this smartwatch goes above and beyond to improve your life. Apple created a smartwatch that displays notifications, tracks activity around the clock, and takes on some responsibilities from your phone. 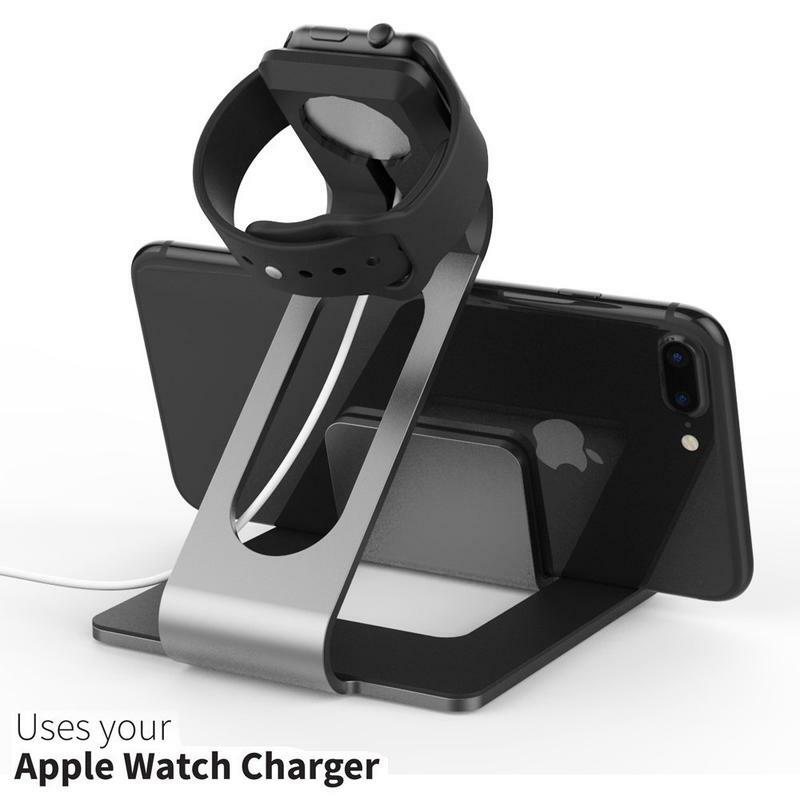 But it does need to be charged quite often, and that’s why you should consider picking up a charging stand for the Apple Watch. Now you can ensure your smartwatch is always juiced and ready to go. 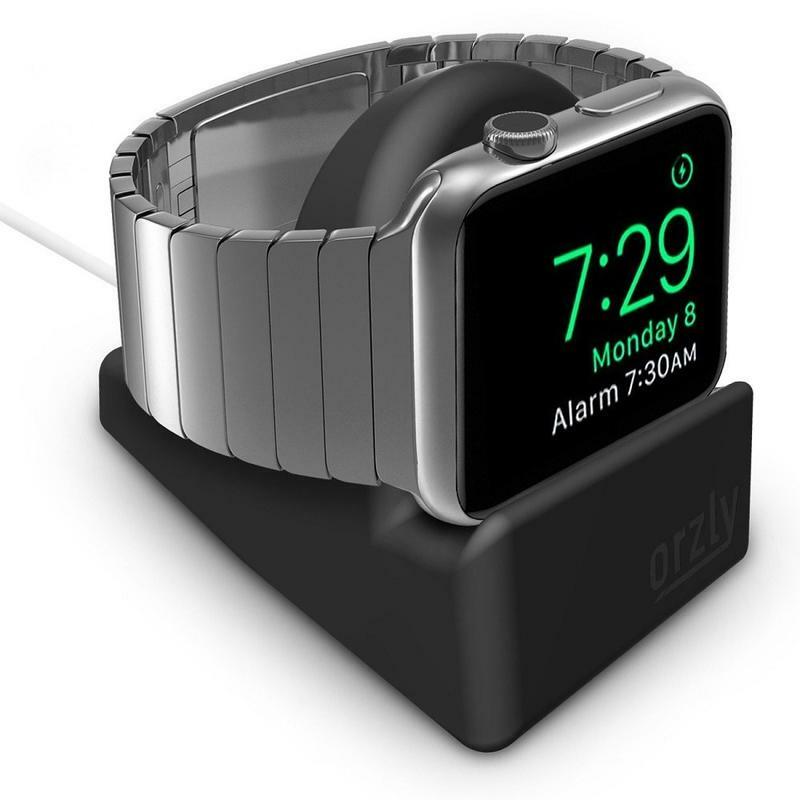 Here are some of the best charging stands for the Apple Watch. The iPhone and Apple Watch are a perfect pairing. Actually, they’re the only pairing possible with Apple’s flagship and smartwatch. The company creates its hardware and software to play nice with each other, and the iPhone is the sole mobile device you can use the Apple Watch with. 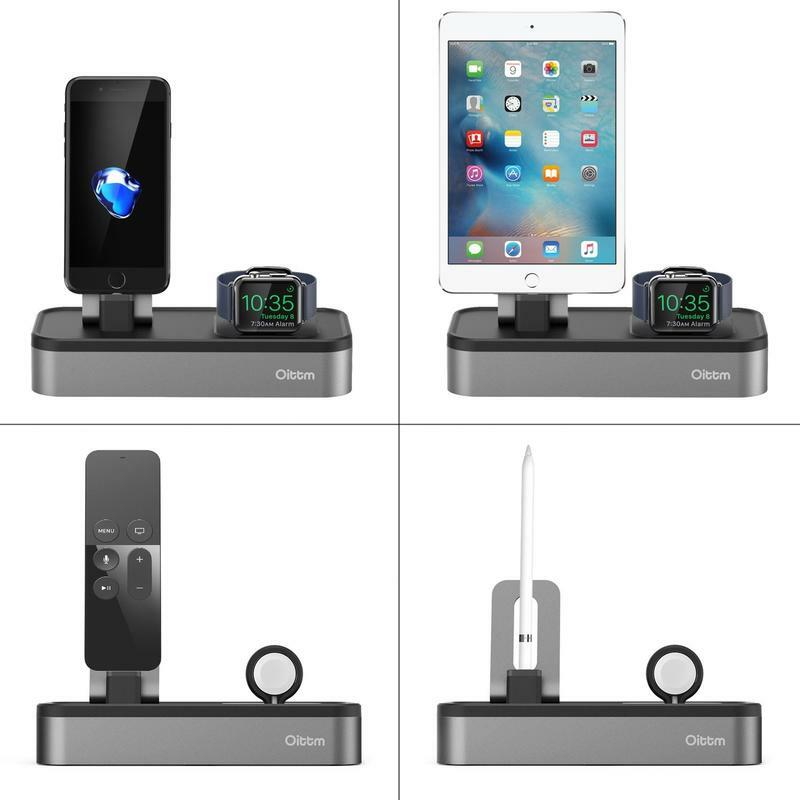 So you might want to get a stand that charges both products at the same time. 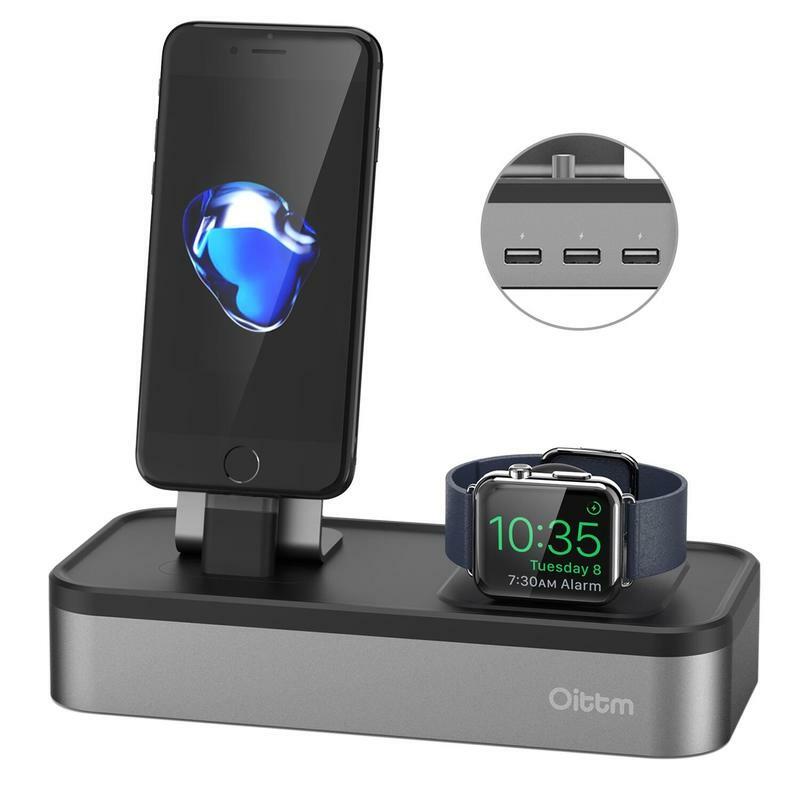 Oitmm makes a 5-port stand that charges the iPhone, Apple Watch, and any other three devices you’d like. The iPhone gets placed on the left, and the Apple Watch goes to the right. Cables for those two are fed into the base to prevent a messy setup. Then, around the back, you can connect up to three other devices using the built-in USB ports. 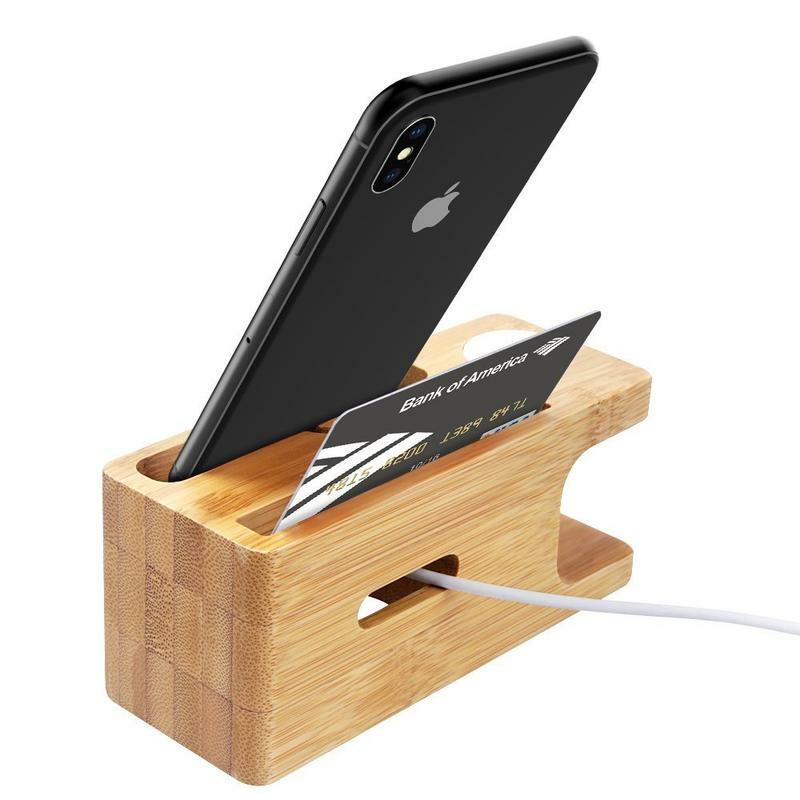 It’s handy if you have something like an iPad, a portable battery, wireless earbuds, or another phone that needs to be charged. The price could seem a little high for you, but remember what you’re getting here. 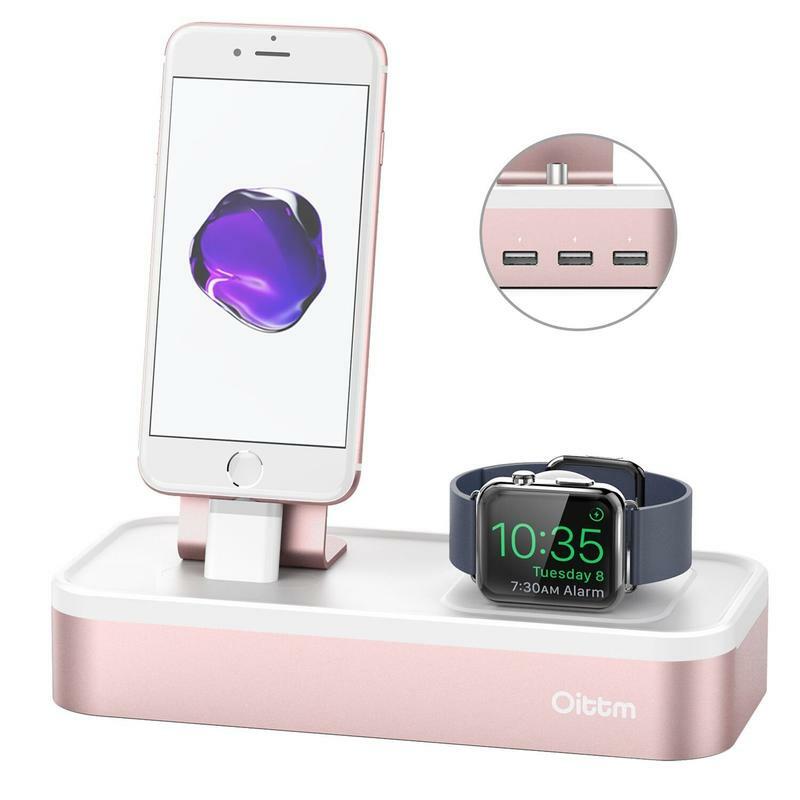 Aside from being able to charge two devices simultaneously on top of the stand, you have another three ports at the ready. And Oitmm is using quality materials like aluminum and rubber to keep the stand sturdy and in place. 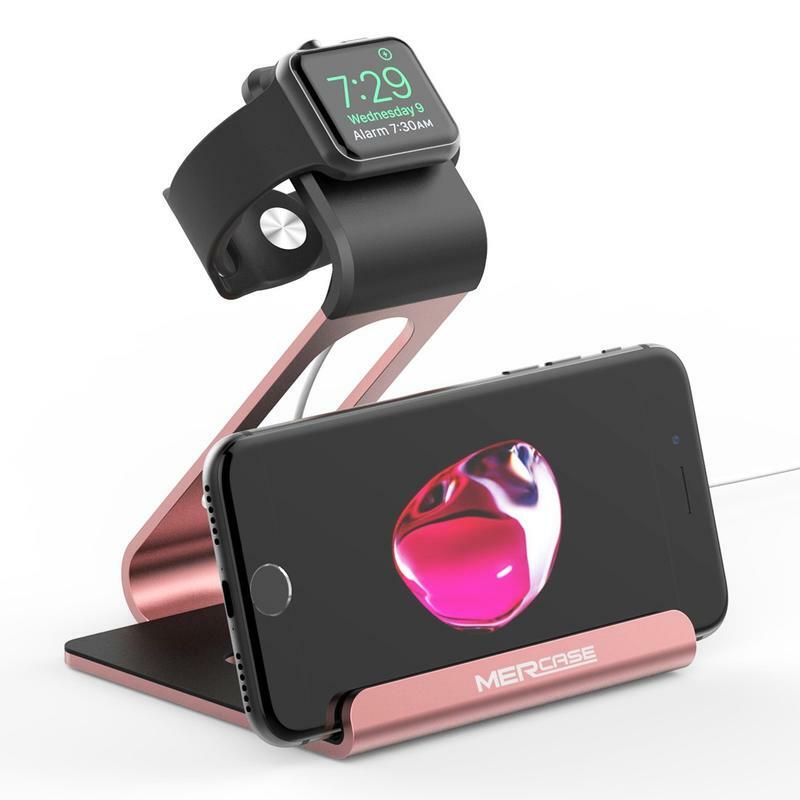 When your Apple Watch is charging, Mercase’s stand lets you put the iPhone directly below it. That’s useful if you’re trying to keep everything in one spot. 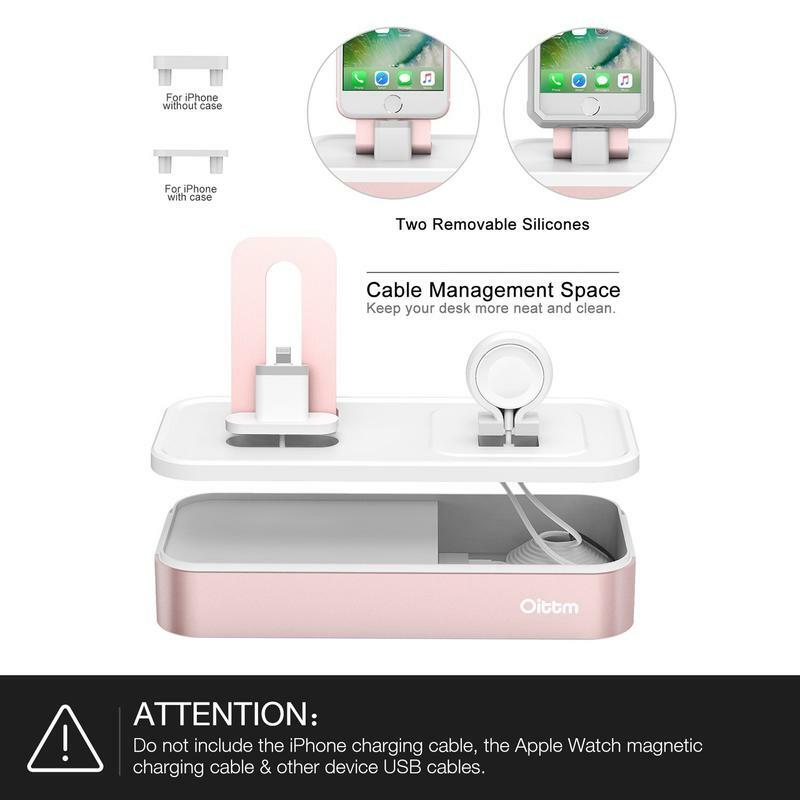 It only charges the Apple Watch; however, the slot for your phone is slightly titled and offers a sliding mechanism to adjust the viewing angle. So, while you’re not able to charge an iPhone at the same time, you do get the benefits of putting your phone with your smartwatch to live a more organized life. 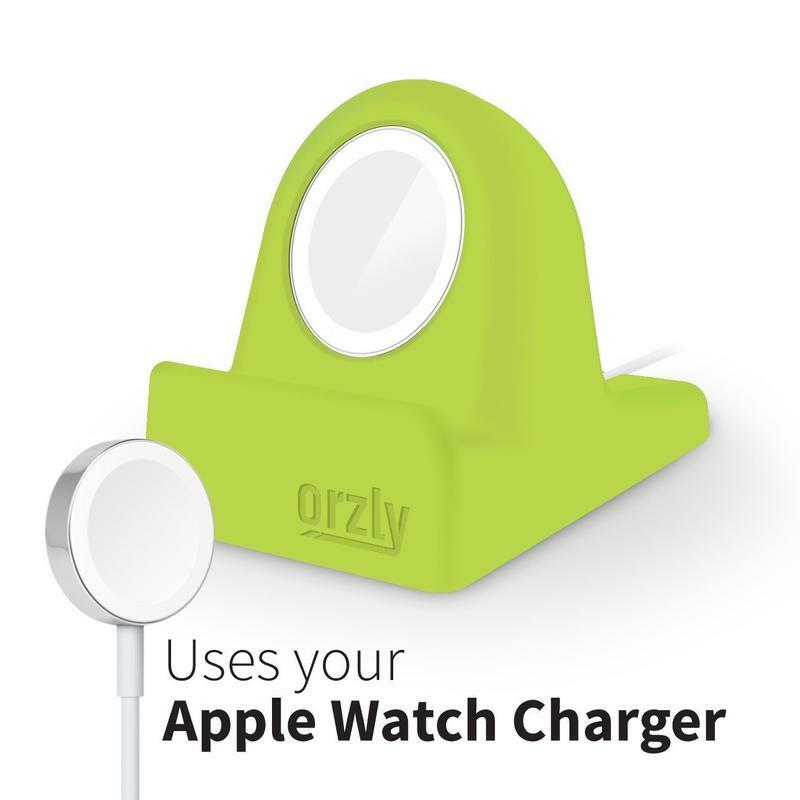 Orzly makes what appears to be the most popular choice among Apple Watch owners. 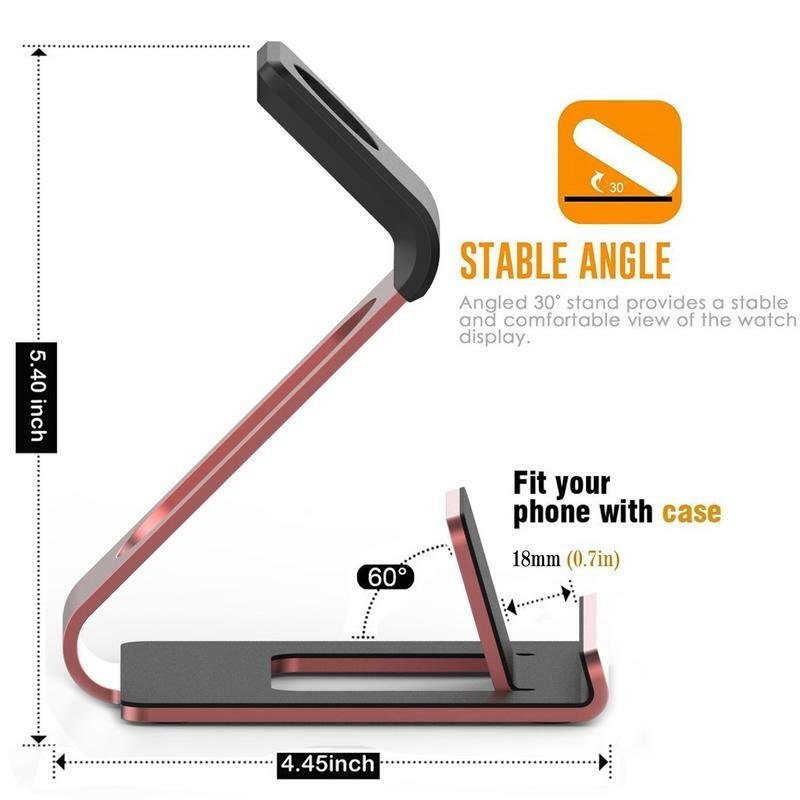 It makes sense considering this stand is small, sold in a variety of colors, and cheap. And it does indeed charge the smartwatch as you want. 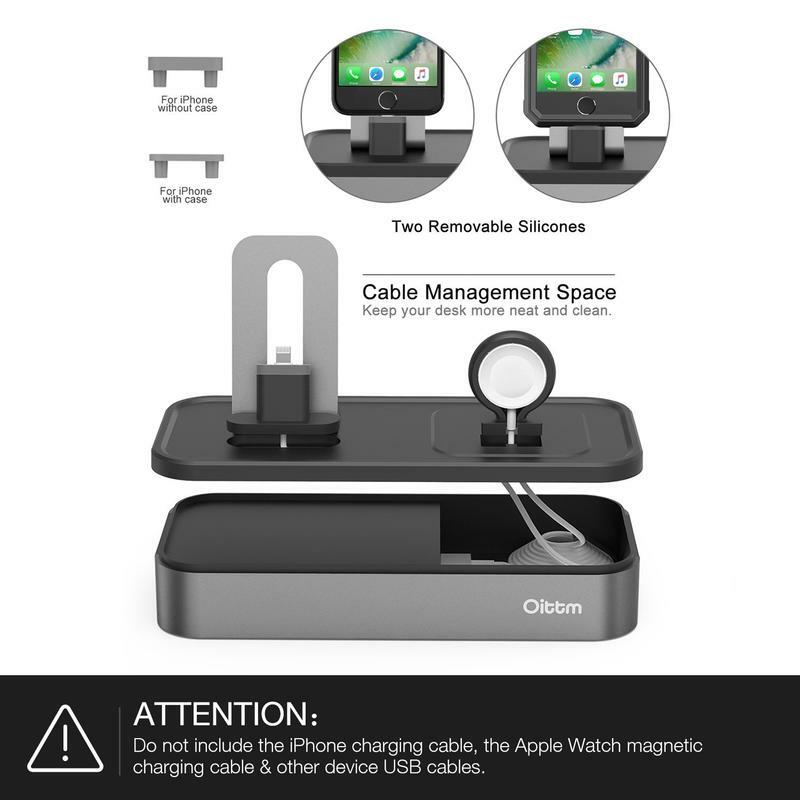 Feed Apple’s proprietary charger through the rubber body, and then place your Apple Watch down. Now there’s power being sent to the smartwatch. It’s offered in black, blue, green, and red. 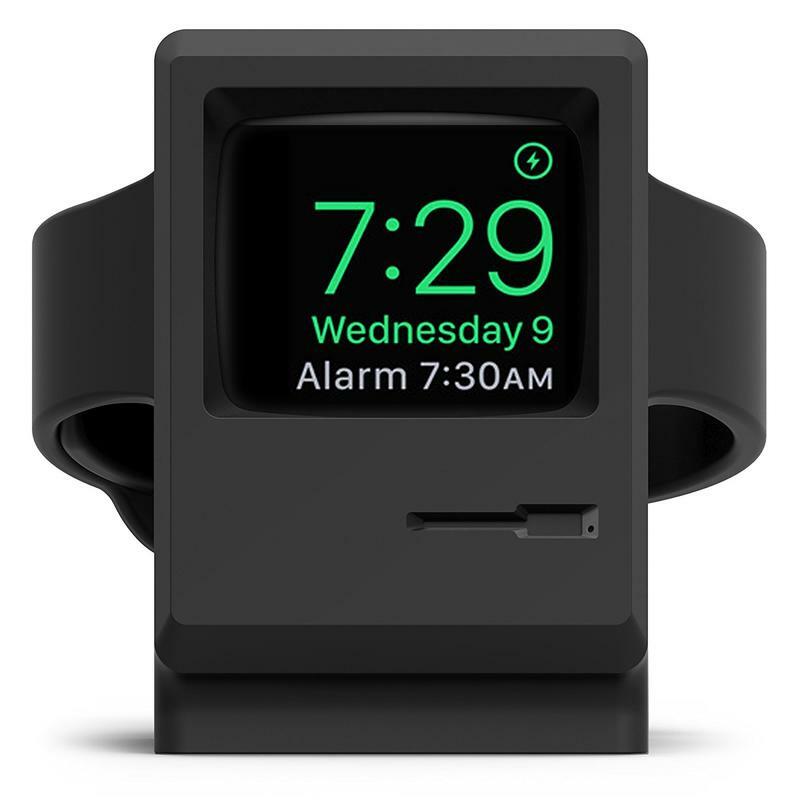 That selection should be diverse enough to match your Apple Watch and the environment the stand is placed in. 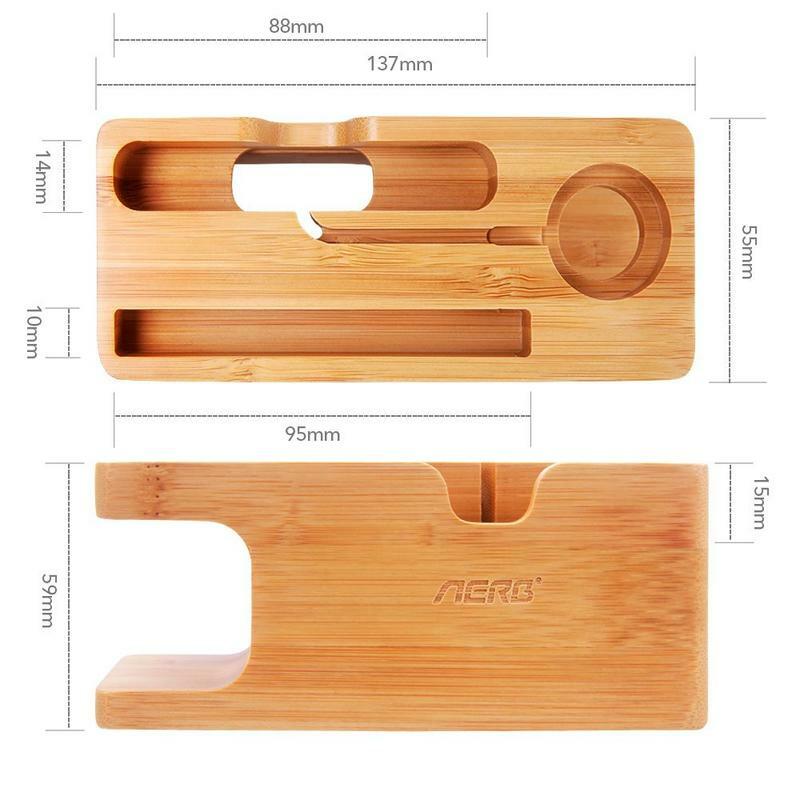 The stand is made of thermoplastic polyurethane (TPU), which is basically a high-end silicone. 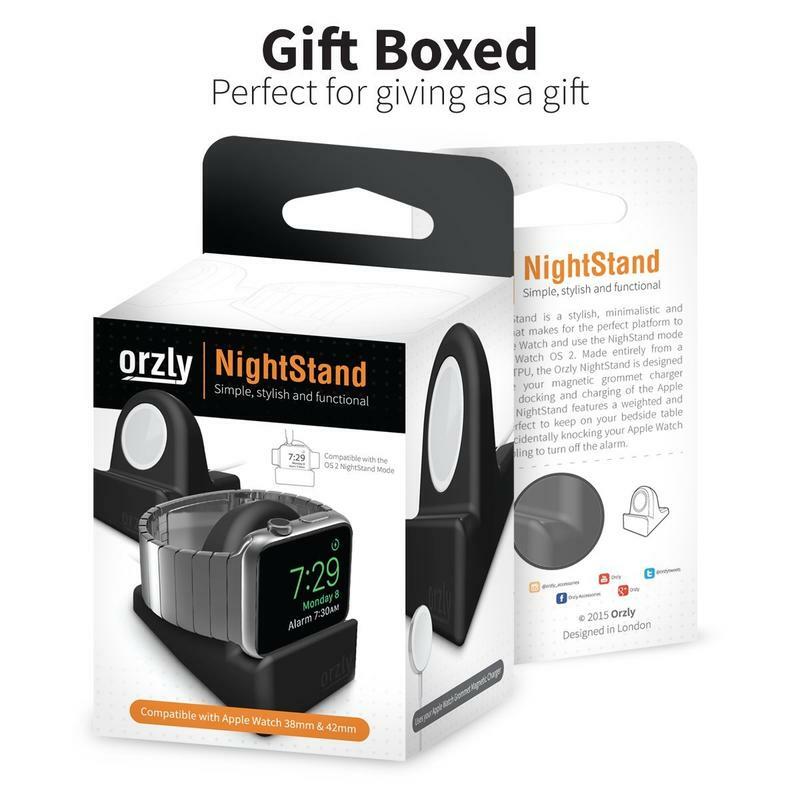 Orzly also provided a non-slip base, and your Apple Watch’s display is always visible to act as an alarm clock. 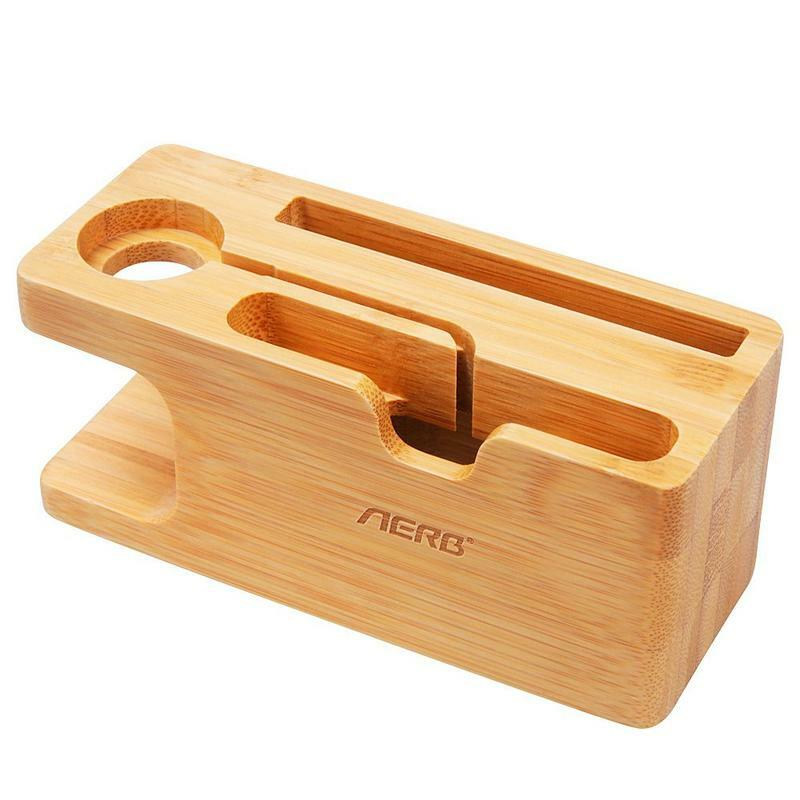 Style might matter to you more than anything else, and take a look at Aerb’s bamboo-made holder if so. 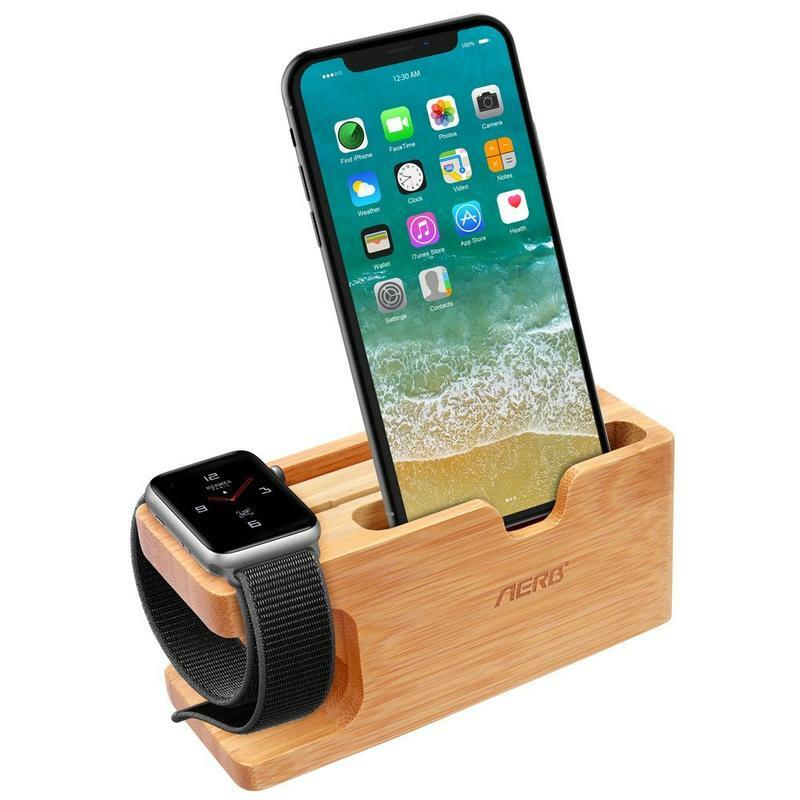 The wooden design holds your Apple Watch, an iPhone, and even some business cards. 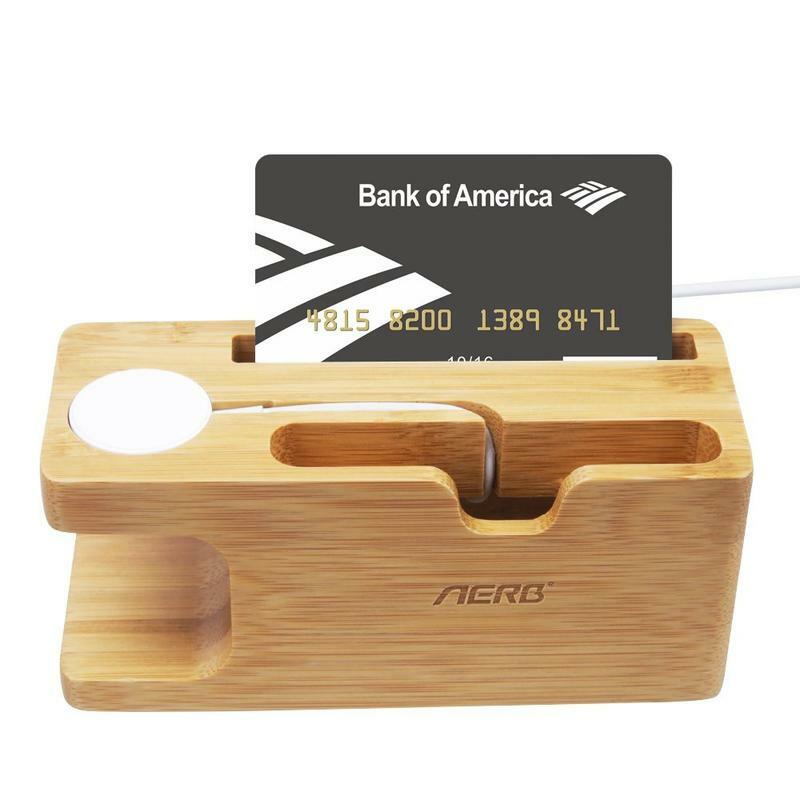 It’s an attractive way to sneak your charging needs onto a desk. 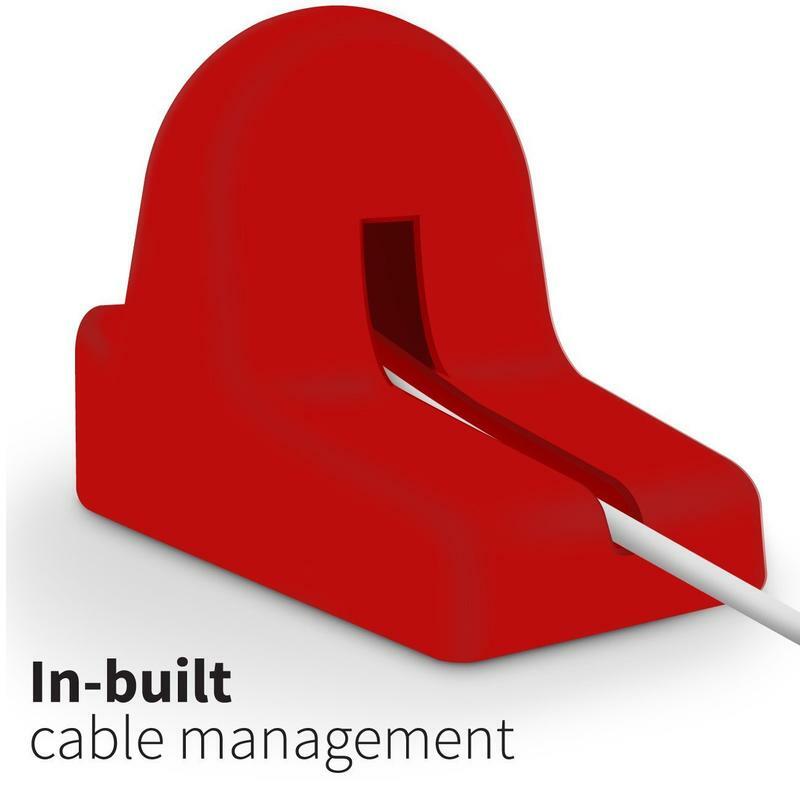 Aerb made its stand clean and simple; therefore, you’re not stuck with a big and bulky piece of metal taking up an unnecessary amount of space. Apple loves its past, as do you. 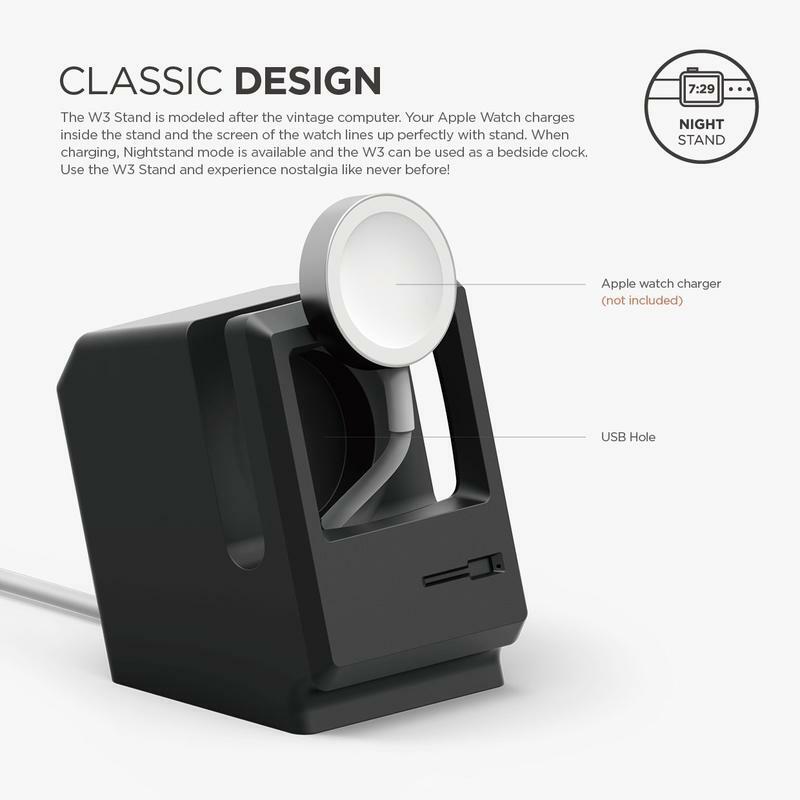 Elago released a stand for the Apple Watch that turns the smartwatch into a vintage monitor. 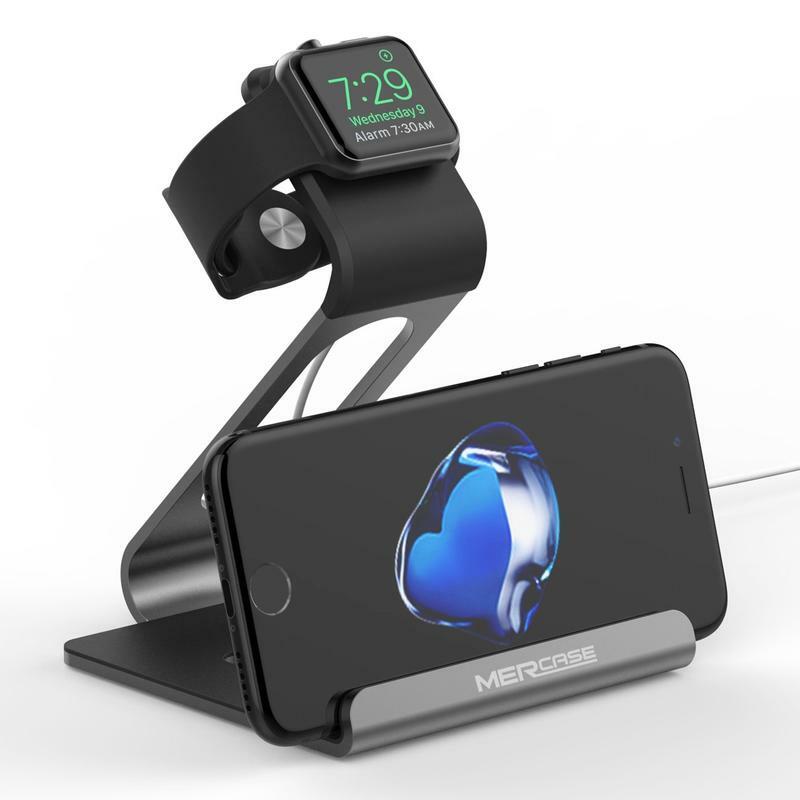 If you’re a longtime Apple fan or just someone who loves to live the nerdy life, get this stand. The price isn’t high and it’s an incredible throwback to the days when Apple focused exclusively on computers. 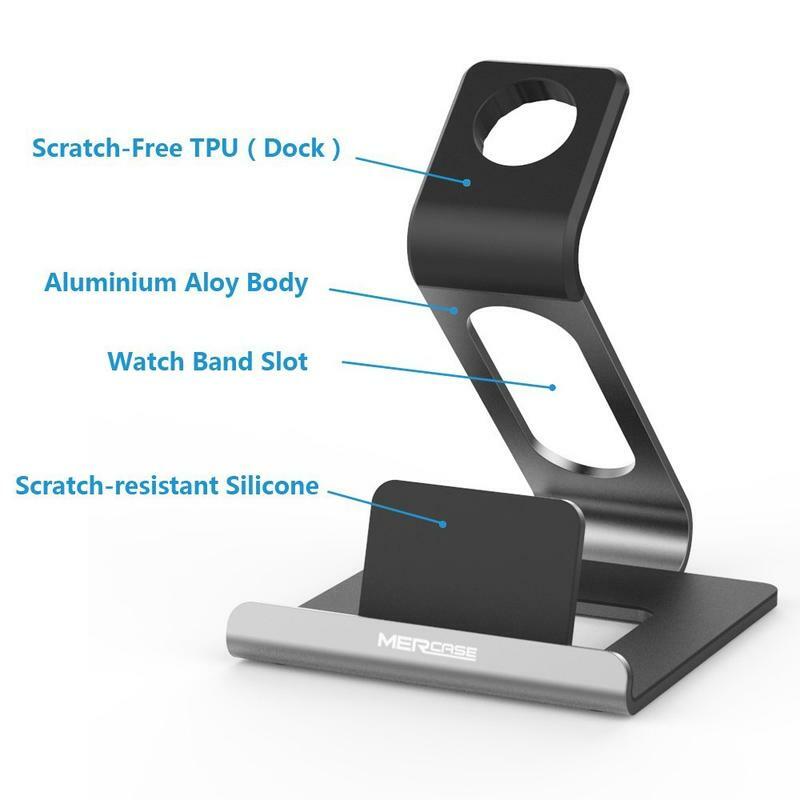 The stand is made of rubber, and you can choose between two colors that match bands for the smartwatch. 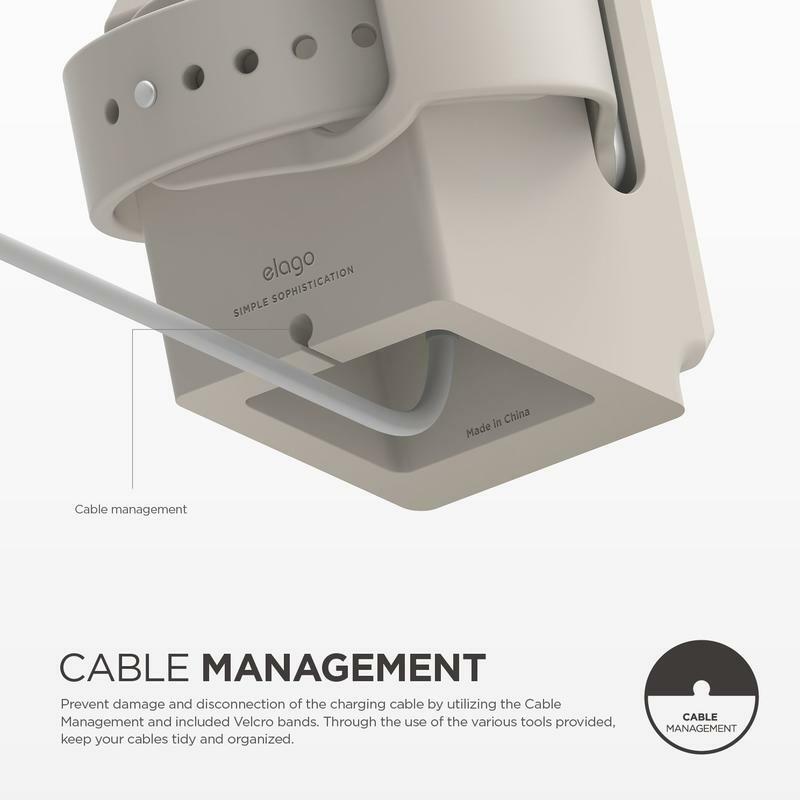 Elago made it so that the cutout doesn’t reveal any part of the bezel. 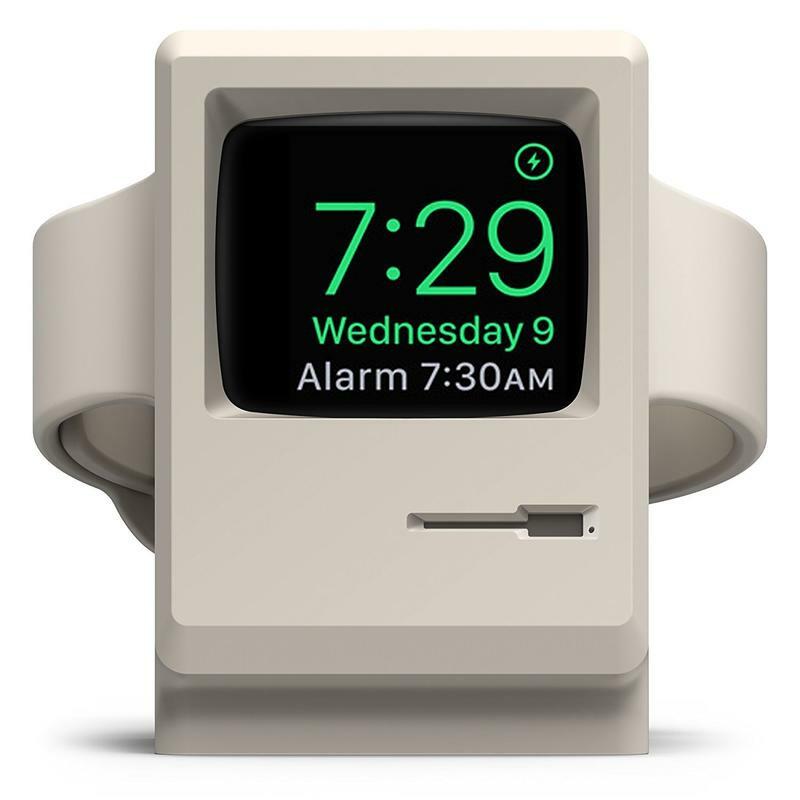 Your Apple Watch’s display is all that’s seen, making it really look like a classic computer Apple would’ve had on the market decades ago.